When it is time to put away the September - Occupations, January - New Year's, March - St. Patrick, or July - Summer time decorations, you want to make sure that you can easily find and locate any decoration needed within a short amount of time without having to rummage through boxes or storage bins to find what you are looking for. 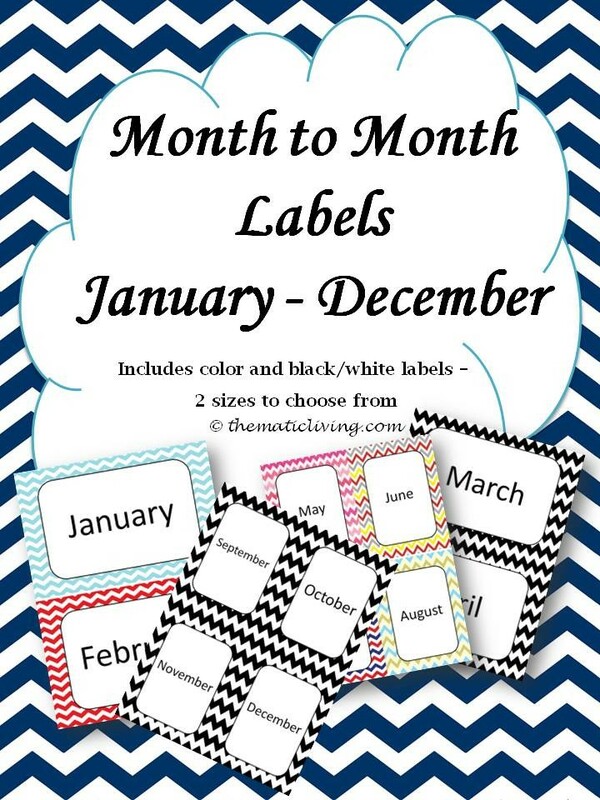 Remind participants and loved ones what month it is by using the labels as a part of your bulletin board ideas. Directions for use: Print desired months and cut to separate each monthly label. Attach to decoration boxes or storage bins for a quick way to locate what you need or use them as a part of the monthly bulletin board. For best results, print, cut, and laminate before use.